An increasing number of veterinarians and dog owners are realizing that dogs who lose a limb to diseases such as cancer, birth defects, or to a serious injury can survive and even live long, happy and fulfilled lives… even on three (or less) legs. What’s more, dogs who have suffered the loss of a limb often show resilience and determination that’s admirable. If you’re currently facing the heart-breaking decision of having to amputate your dog’s leg, or are considering adopting an amputee dog, here are some factors to keep in mind when it comes to giving them the best possible care and a shot at a great life. First of all, it’s important to keep your pet’s best interests in mind if your veterinarian has suggested an amputation for your dog. Bear in mind that a dog who’s been injured or is suffering from a deadly disease such as cancer just wants to feel better and, in many cases, amputation can be the answer to this. According to veterinarians, once the painful limb has been removed, dogs will typically feel much more comfortable and settled. And owners report that after an amputation, most dogs will return to normal life within just a few months. In fact, according to experts, dogs can be just as happy on three legs. They tend to be much more adaptable than us humans would be if we were faced with the same kind of physical challenge. Initially it is important to be prepared to give some extra care to your dog for the first few days after an amputation when the healing process is occurring. Your dog may need some help getting up, down and around for the first few days, and they’ll probably need to wear a veterinary cone to prevent them from licking or biting at their stitches and causing an infection. If your dog is crate trained, this is the best place for them to be during the initial healing process, as it will ensure that they are safe and it makes it easier for you to supervise them. 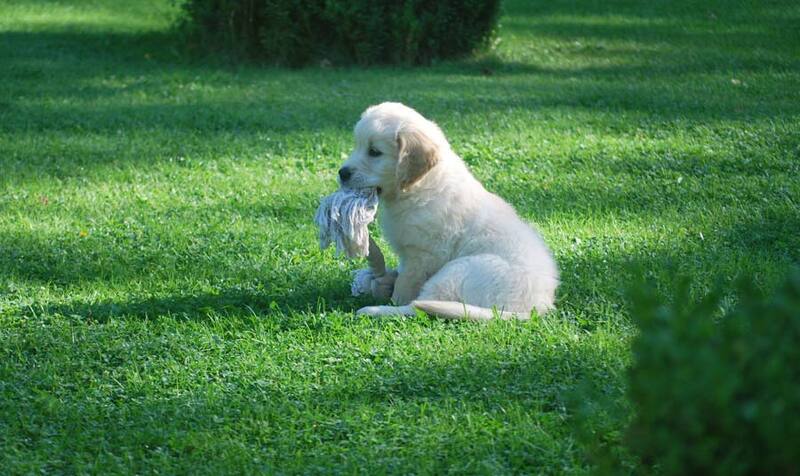 When it comes to helping them get around, a towel can be used under your dog’s belly to lift them up and provide some extra support as they adjust to life without their limb and come to grips with moving around and taking trips to the bathroom. It’s also a good idea to help your dog’s road to recovery with carpets or other non-slip surfaces in your home. 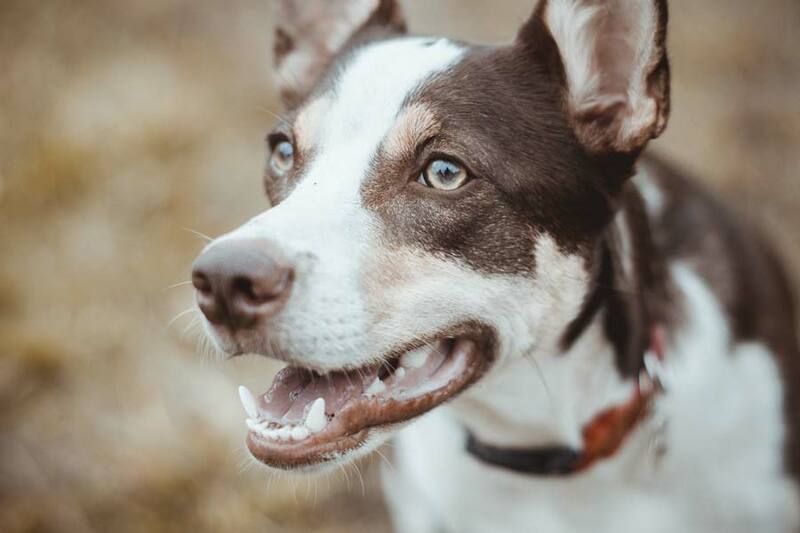 In severe cases or in a case where more than one limb has been removed, you may want to consider prosthetics or other alternatives to help your dog move around. 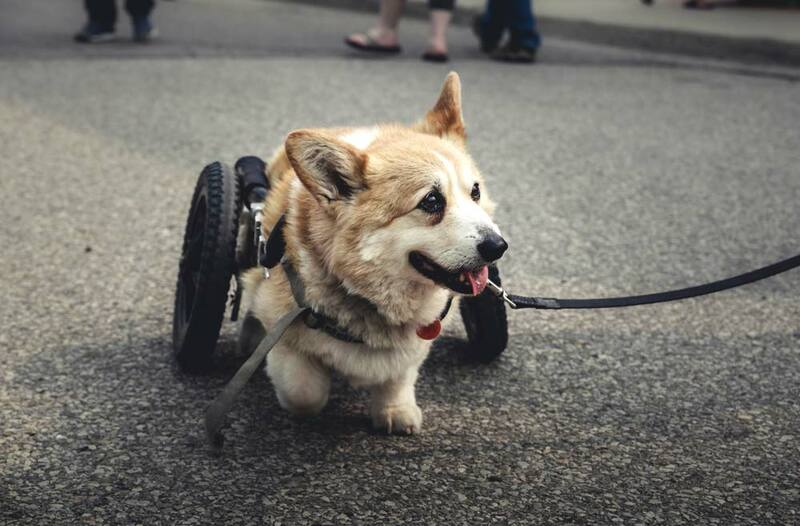 Custom wheelchairs for your pets are a great idea as they’ll give your dog the same range of mobility they are used to and make exercising easier. After the procedure, making sure that your dog remains fit and healthy, and stays at a healthy weight is crucial. Additional weight can put extra pressure and strain on their remaining limbs, so exercise that will keep their core strong is key. You can help your dog with strengthening his abdominal muscles through games that involve balance disks or wobble boards. However, it’s important to bear in mind that it’s essential that you don’t overdo things. Any exercise should be added gradually and carefully, just as you would do yourself if you were in recovery from major surgery. 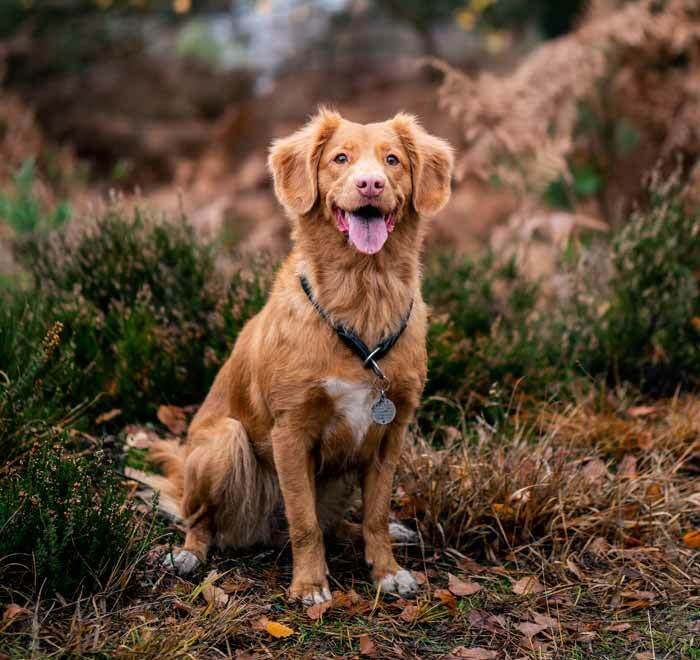 It’s important that you continuously monitor your dog for any signs of fatigue, such as sitting down on walks – this usually means that they’ve done too much. It’s a good idea to establish a relationship with a veterinarian for rehabilitation therapy, so they can work with you to protect and strengthen your dog’s remaining limbs with a custom exercise and physiotherapy plan. It’s important to think about your daily routine and how your newly adopted dog is going to fit into it. 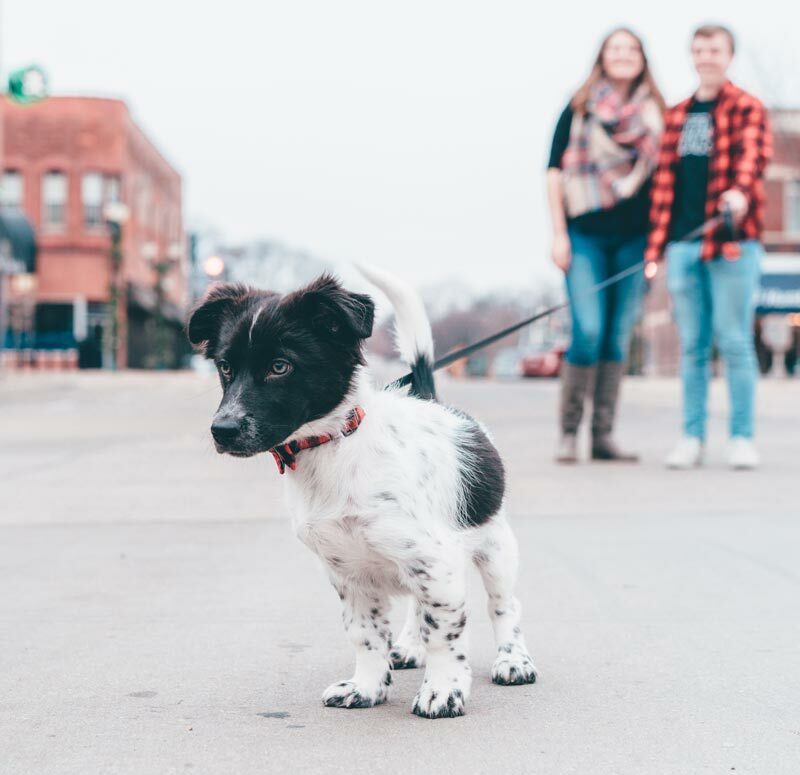 If you already have other dogs at home, you may need to consider walking them separately since your four-legged dogs will likely have more endurance and will be able to go farther and longer when walking, which may wear out your new friend. Many injured and amputee dogs are overlooked at shelters, but you can keep them healthy, happy, and fit with very little effort, particularly if your dog has long recovered from the amputation and has adapted to life minus a limb. If you come across a dog who has a potentially injured or broken limb, you will understandably want to help them. However, experts say that you should always consider your own safety first and approach with caution, as even the most docile and loving of dogs can snap if they are in pain, particularly if you are a stranger to them. Once you have assessed the situation, you should place a blanket under the dog’s affected limb for support, and lift her carefully. 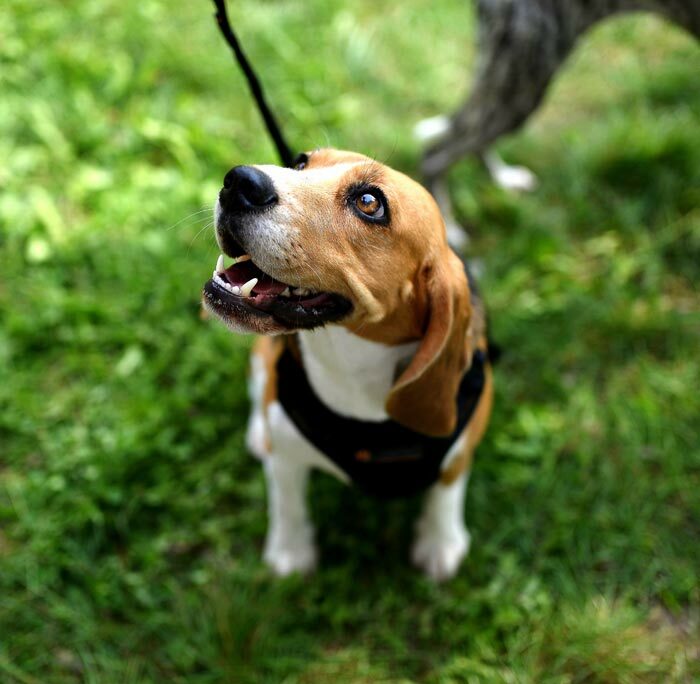 Make sure that you are able to keep the dog restrained until they get to a veterinary clinic or hospital. 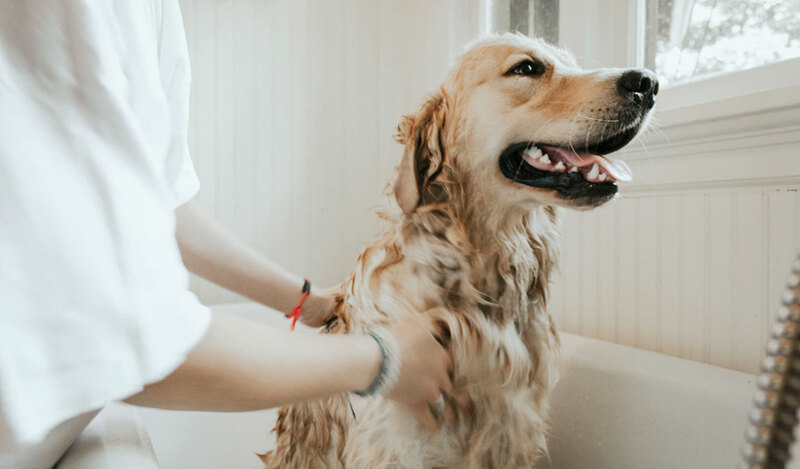 If you do not feel comfortable moving the dog yourself, the best thing to do is get in touch with a local emergency veterinary clinic who can offer advice and potentially send somebody out to you. If you’re in a situation where you’re being faced with the decision of whether or not to amputate your dog’s limb, it’s crucial to keep your feelings and emotions in check. Most dogs will be much happier and healthier afterward and can adapt to the change easier than you might think. And if you stay positive, your dog will pick up on this and be assured that everything is OK. Most dogs respond well to amputation and go on to lead a healthy and happy life. If your vet advises that your dog isn’t a good candidate and recommends euthanasia, it’s a wise idea to get a second opinion. 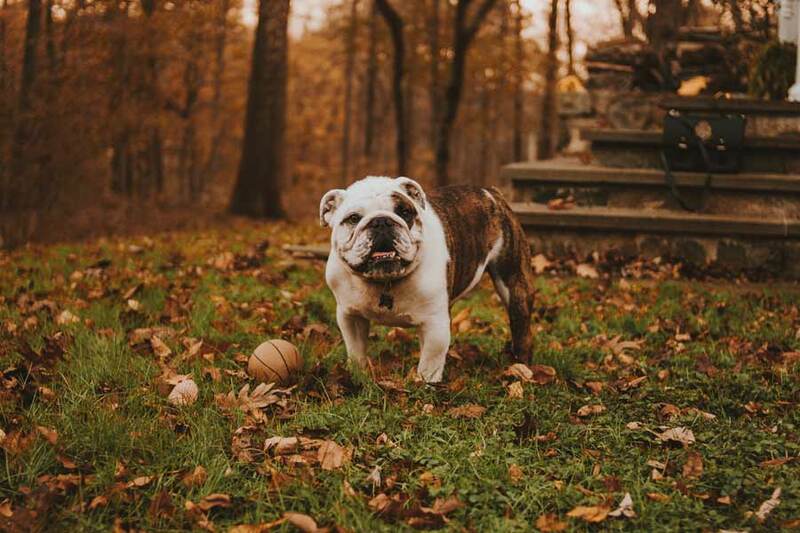 After the procedure, make sure that you proof your home to make it safe during the recovery process, and then gradually introduce exercise into your dog’s routine that will help them maintain a healthy weight and fitness level. 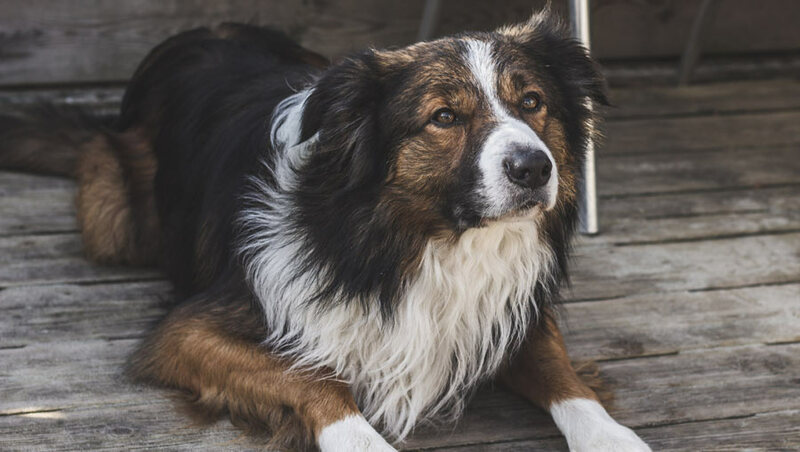 Breathing difficulties in dogs may be a sign of a bigger health problem, therefore it is important to conduct some diagnosis to be sure of the main underlying cause of such problems. Heart diseases, infections such as viruses, or parasitic and heartworm disease can be the main cause of breathing problems in dogs. Diagnoses in dogs are performed through several means. These include; taking blood counts, Serological tests to confirm infectious diseases, and Chest X-ray imaging to check internal airway and other breathing components. 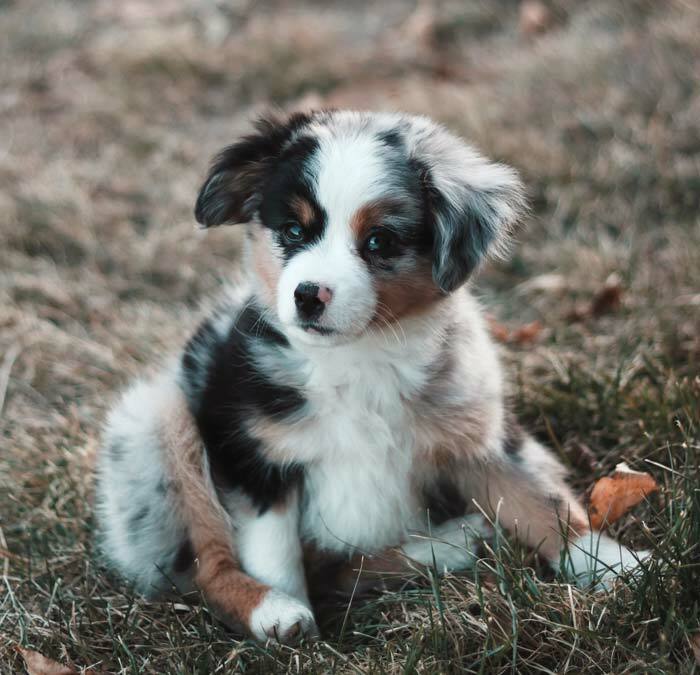 Other diagnoses that may be carried out include: Echo-cardiography, which is an ultrasound check for the heart, the use of Electrocardiogram (ECG), and examination of fluid samples taken from the air passageway of the dog. The appropriate treatment administered will depend on the test results. Many dog owners often ignore the need to perform follow-up tests once the conditions of their dogs have improved. Regardless of whether surgical treatments or medications were performed, it is important to perform follow-up tests to ensure that the breathing problem does not relapse. In most cases, the same diagnostic tests carried out before treatment will be repeated to evaluate the response of the dog to treatment. In case the dog is not responding favorably, then some other tests will be conducted to confirm the real underlying cause of the breathing problem. Follow-up tests are as important as diagnostic tests, hence they must not be skipped. A follow-up test is not just a procedure for measuring the response of your dog to treatment. It may be an ideal way to detect any other underlying medical problem that may get more complicated in the future. Certain breathing problems are associated with obesity. Extra body fat can put pressure on the air passageway, thus putting extra pressure on breathing. It is important to work out with your dog outdoors or make use of a special treadmill designed for dogs so she can burn some extra fat. This may take a while to show results but it will help. In general it’s wise to help your dog shed some weight even if its breathing difficulty is not associated with obesity. Some breathing problems, including Chronic Bronchitis are caused by inflammation of the air passageway. 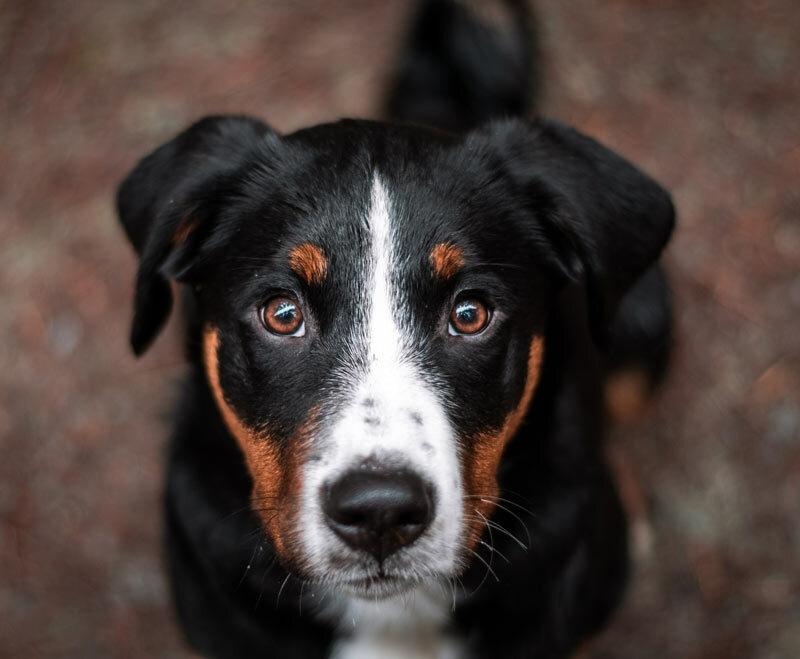 While medications are mostly used for dealing with these problems, you may want to reduce chronic inflammation in the digestive system of dogs by ensuring that your dog doesn’t eat some foods that are only meant for humans. Buy specially formulated anti-inflammation dog food her. Extreme winter conditions may worsen breathing problems in dogs. It is important that you keep your dog active indoors during such winter conditions, but that does not mean that he must remain indoors 24 hours per day. Certain breeds such as Border Collies are an outdoor type of dogs, but make sure they are well protected when outdoors in extreme cold. Some breathing problems may relapse when she does not complete its course of treatment. This is particularly prominent when dogs are placed on medications, like antibiotics for breathing problems caused by bacteria. Dogs must complete the entire treatment course even when it seems all the symptoms are gone and breathing has returned to normal. When problems relapse, it means the dog will have to start taking the medication all over again, which can cost you extra in the long run. 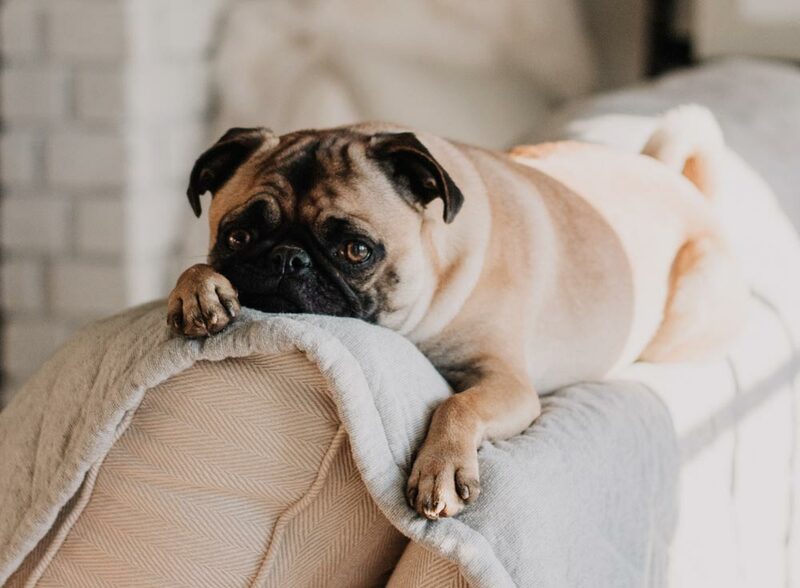 If diagnostic results show that your dog’s breathing problem is triggered by allergic reactions, then you should consider a complete cleaning of your home and of the dog’s personal items. First of all, you need to identify the allergens triggering the breathing problems, and it would help to get a HEPA Vacuum filter that can be used to clean the surfaces of carpets and all furniture. 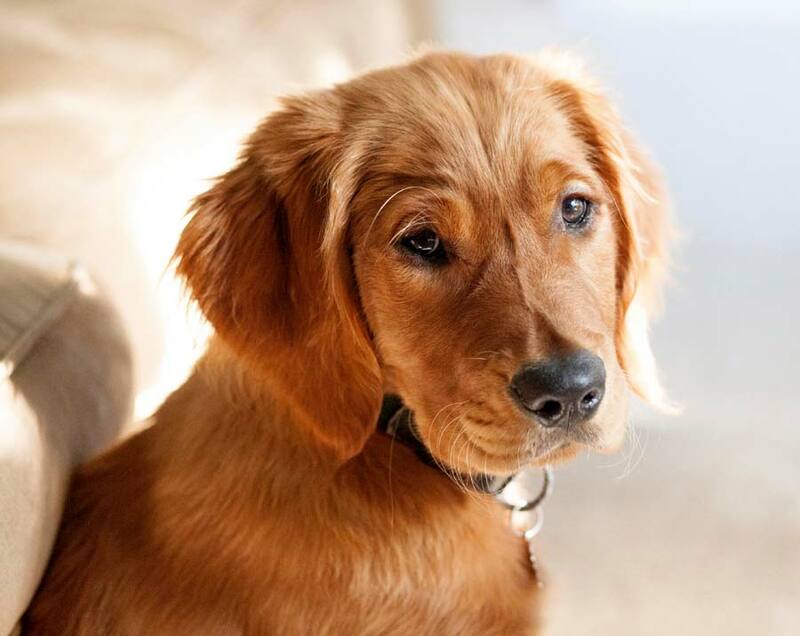 Make sure every part of the home that your dog visits is thoroughly vacuumed to reduce the risks of allergic attacks. Try as much as possible to improve ventilation in your home, to make it safer and cleaner for you and your dog. It is important to pay attention to the symptoms of breathing problems in your dog. Rapid, labored breathing is perhaps one of the most severe symptoms you should pay attention to. Sometimes the belly of the dog may move more than normal, with the nostrils flaring up during breathing. In some cases, the dog may begin to breathe with its mouth opened, and in some cases, the elbows of the dog may stick out of its body during difficult breathing. Noisy breathing is another symptom you should pay attention to. This is particularly the case when the dog’s breathing is shallower than normal. 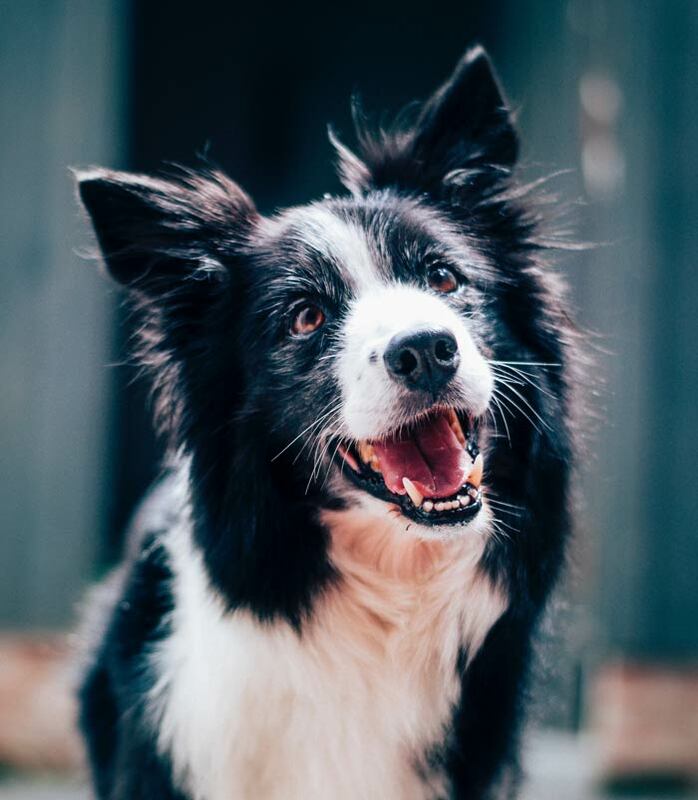 Heavy panting may not necessarily mean the dog is having breathing difficulties, as it is normal to cool off after a difficult exercise session. Labored breathing in a dog may be a sign of Dyspnea, while rapid breathing may be a sign of Tachypnea. 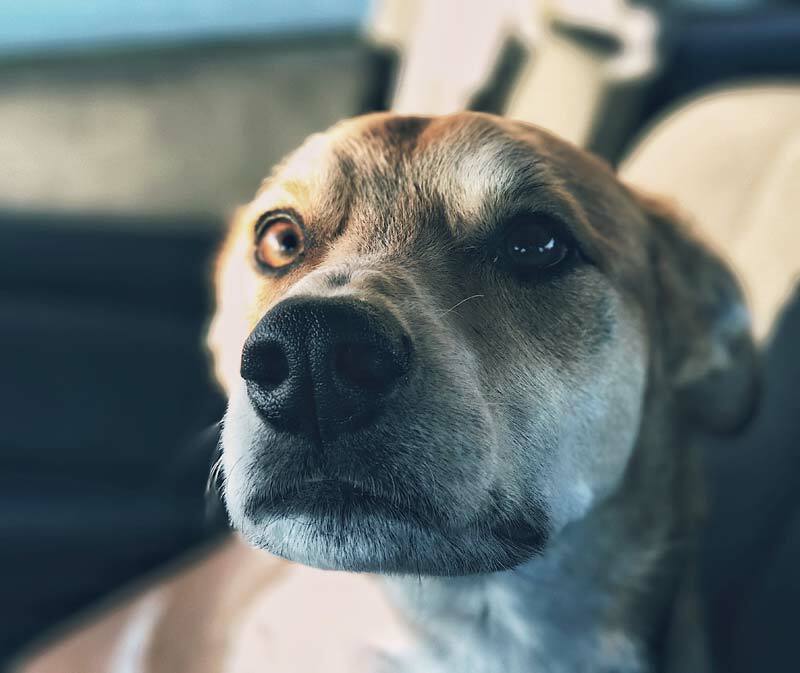 If the mouth is partially opened during breathing only occasionally, the dog may not have a breathing problem, but when it becomes more regular, then you must consider a medical checkup. How to Prepare for Your Dog’s First Road Trip! So you are going on your first road trip with your pup? We know you’re all giddy and excited about getting to spend quality time with your best friend! Who wouldn’t be? Traveling with your dog can be a fun and memorable experience… If you take the necessary steps to prepare for it. 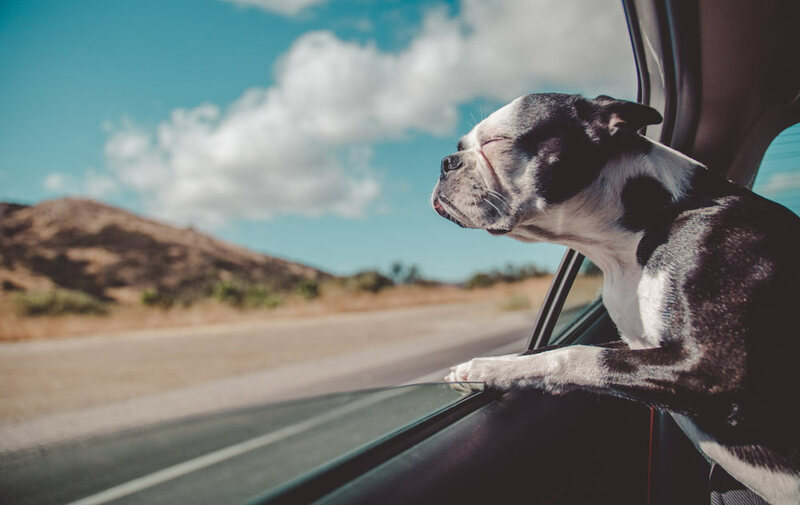 Read on to find out how to prepare for your dog’s first road trip. 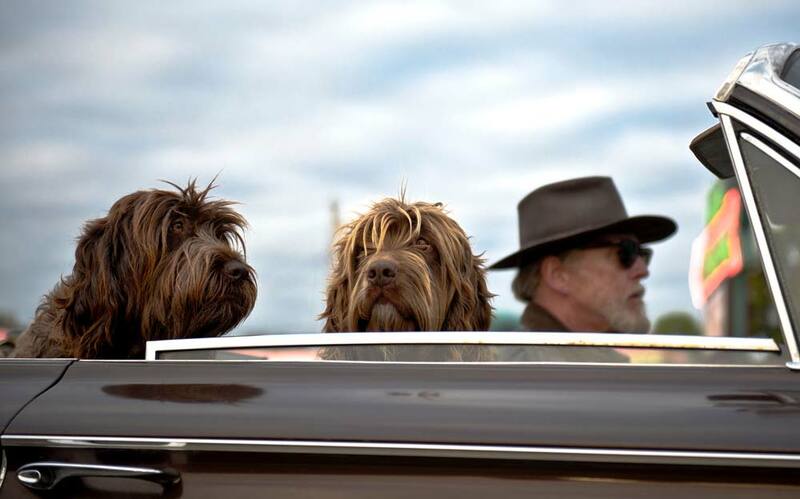 First things first: Is Your Dog ready to Hit the Road? 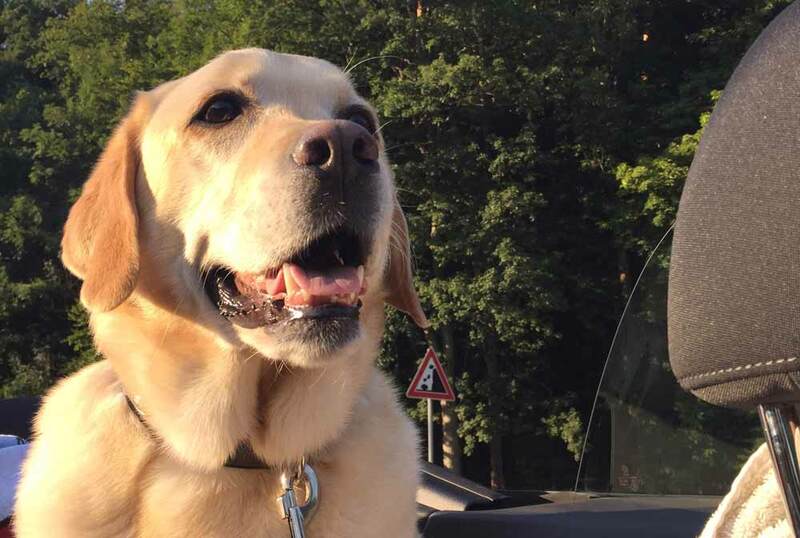 You might be all set for your road trip, but what about your dog? If your dog is already cool riding in the car with you, that’s great. The battle is won. But if Fido isn’t ready to travel yet, you need to help familiarize him with car rides. Take things slowly on this one! The last thing you need on your road trip is a dog that’s terrified of traveling. 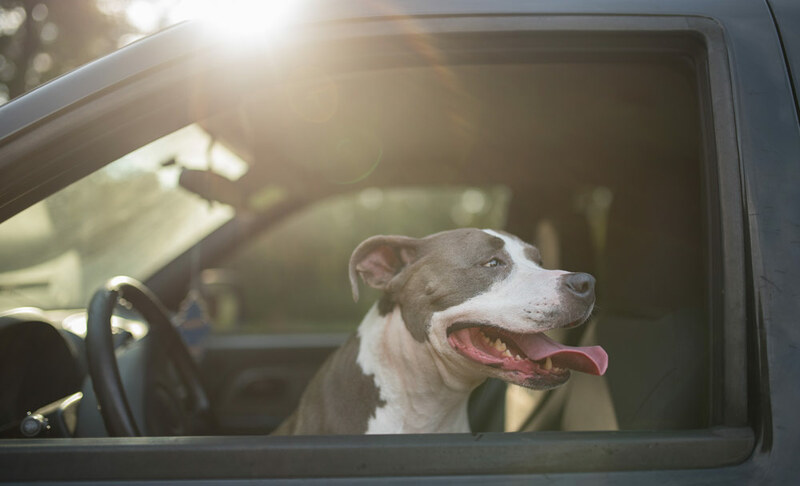 — In the time leading up to your road trip, let your dog sit in a parked car for a few minutes at a time. — Once your dog gets the hang of being inside a car, start the engine and stay inside for a few minutes. — If your dog shows no signs of anxiety, move up and down your driveway. Take a short drive around the block if all goes well. — Don’t forget to reward your dog with praise or treats! — Make a few practice drives in and around your neighborhood. — Plan a short trip to a nearby park or beach. Your dog will learn to associate car rides with playtime at fun places. Now that your dog is roadworthy, it’s time for a visit to the doctor. Taking your dog to the veterinarian before you travel is crucial, especially when going with puppies or seniors. The vet will check if your dog is healthy enough to make the trip and ensure that all Fido’s vaccines are current. While you’re at the vet, get your dog microchipped as an extra layer of security in case she gets lost. 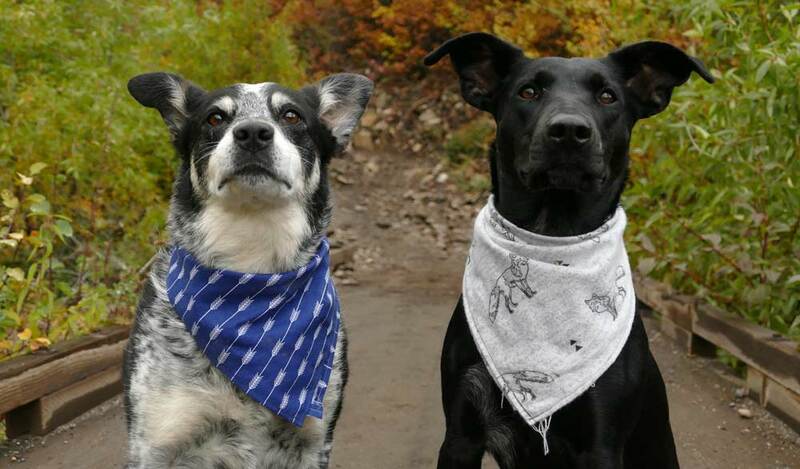 Ask for preventive measures such as anti-tick, flea and heartworm medications if you’re going camping in the woods. If your dog suffers from motion sickness, ask the vet for treatment options. Now that your dog is healthy and ready to travel, it’s time to pack your bags. Dogs are notoriously poor packers, so you need to pick up the slack and pack a bag for your pooch! 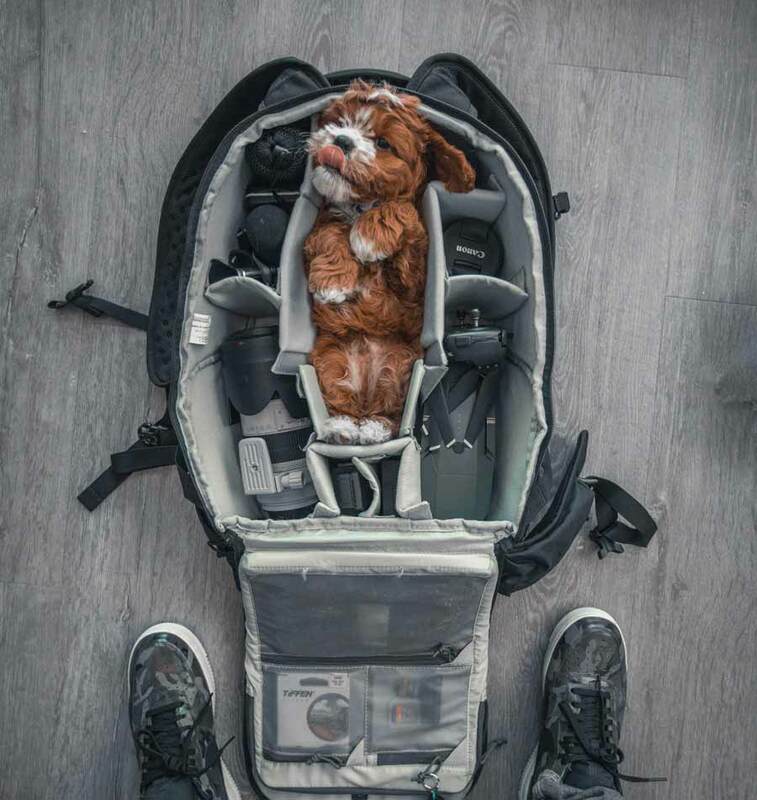 Preparing Fido’s bag is a little different from yours. Also, If your dog is a runner, I cannot recommend an LED dog collar enough. Nothing is worse than the thought of losing your dog while on vacation. 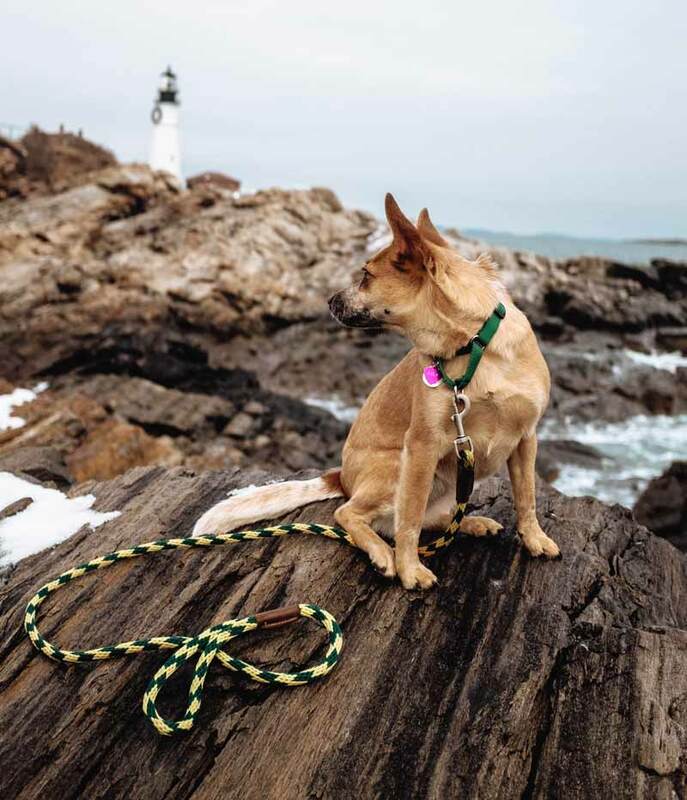 The bright lights on these collars will allow you to easily locate your dog – some can even be seen up to half a mile away at night. What’s in a first aid kit for dogs? Once you decide on where to go, the next step is to map the route and plan your stops. You should expect to stop for a potty break every 2 – 3 hours. Take into consideration your four-legged passenger. 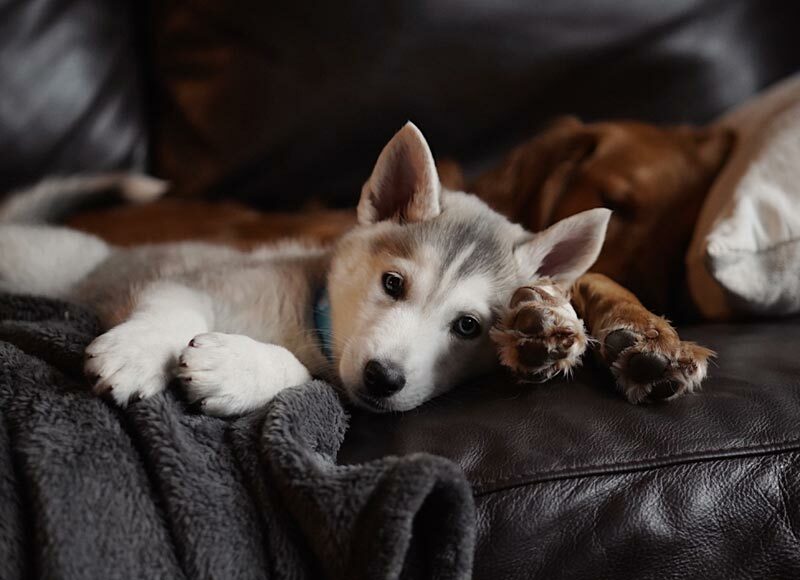 Puppies and older dogs need to make stops more often. Dogs love consistency, so use these breaks to hydrate and feed Rover if it’s feeding time. Just don’t go overboard with the food to avoid accidents inside the car! 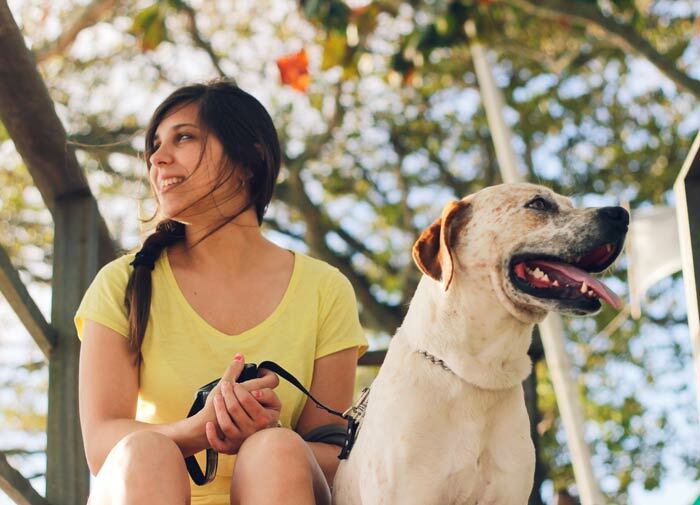 Use these regular pit stops to walk and play with your dog, so he can use up any excess energy and be more relaxed in the car. You should aim for a route that has plenty of rest stops big enough for your dog to walk around and play in. If the designated stop is next to a park or wide-open field, the better. It’s imperative that you call your desired destination first before heading out. Not all hotels and establishments are pet-friendly, so calling ahead will help avoid any issues. If you’re going camping, call the park and book a slot in advance. Most parks have a limit on how many campers and pets they allow. Take this time to acquaint yourself on any rules the park or hotel has about bringing pets. Your dog isn’t the only one that needs prepping. You should equip your car with all the necessary tools to make your dog safe and comfy during the trip. You should also set some ground rules when your dog is inside the car. — Never bothers you during your driving, so no riding shotgun. — Doesn’t stick her head out of the window. — Is tethered via a seat belt harness. — Has a secure space at the back, like a dog crate, hammock or car seat. — Has his favorite toys, bed or blanket to help ease the stress of travel. Dogs seem to have boundless energy, which can cause restlessness during a road trip. 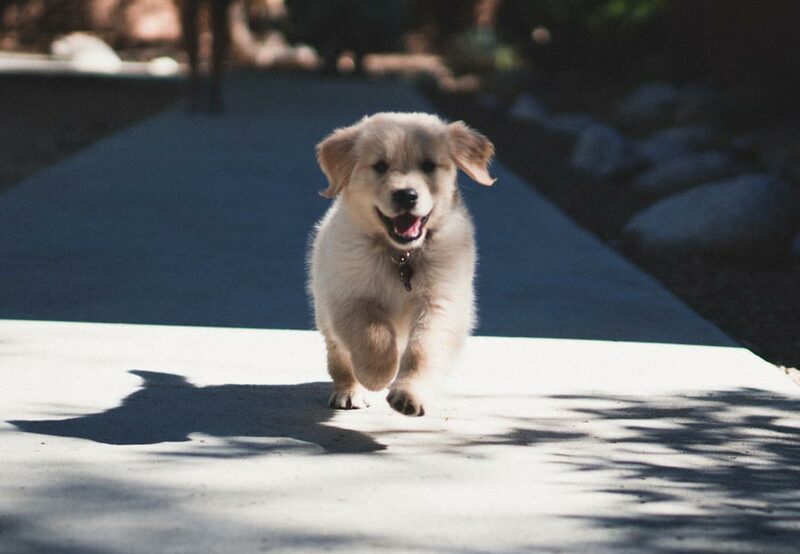 If your dog is like the Energizer bunny, take him for a walk or get some playtime in. 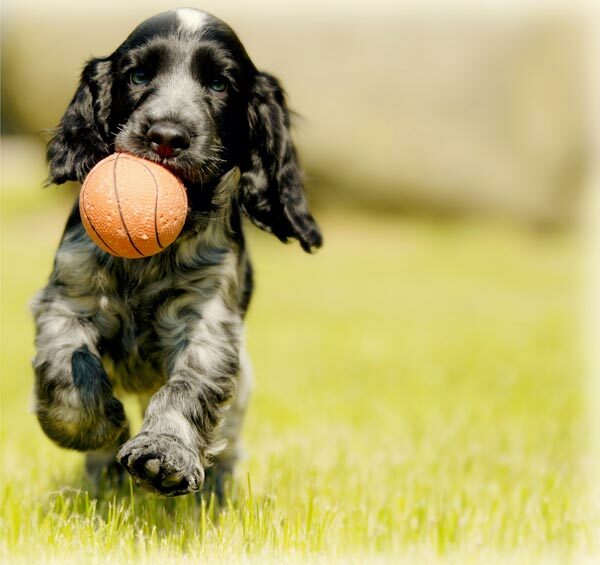 Activities such as fetch, tug of war and soccer can help your dog use up some of his excess energy. 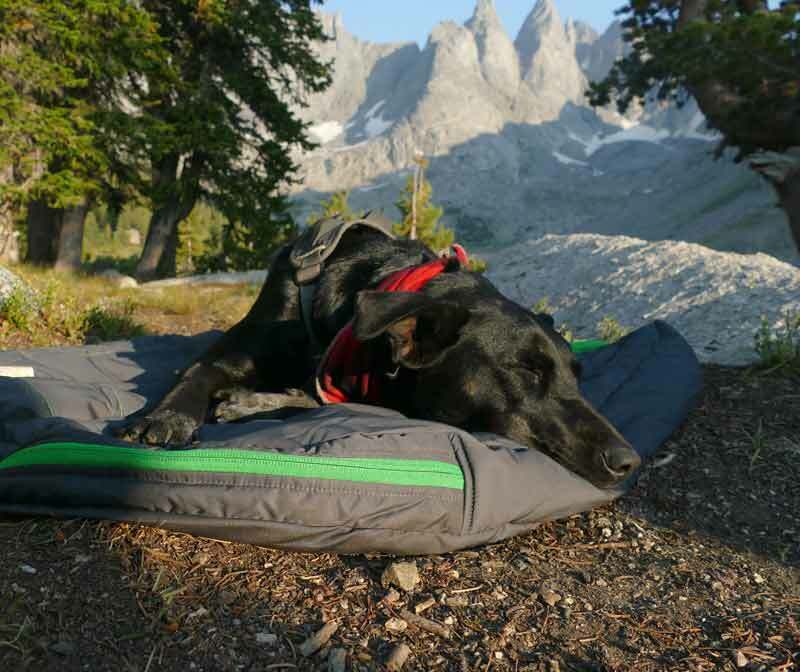 With all the extra energy zapped out, your dog is more likely to relax and chill during your trip. Fluffy may even fall asleep! You also shouldn’t feed your dog a lot before leaving. Try to limit food intake, and don’t feed your dog an hour before the trip. So, what are you waiting for? Now that you know how to prepare for your dog’s first road trip, it’s time to put words into action and get to it! By following all the tips and tricks in this article, you’re making sure that only good times with your lie ahead. Oh, and never leave your dog alone in the car – the temperature can soar in minutes! 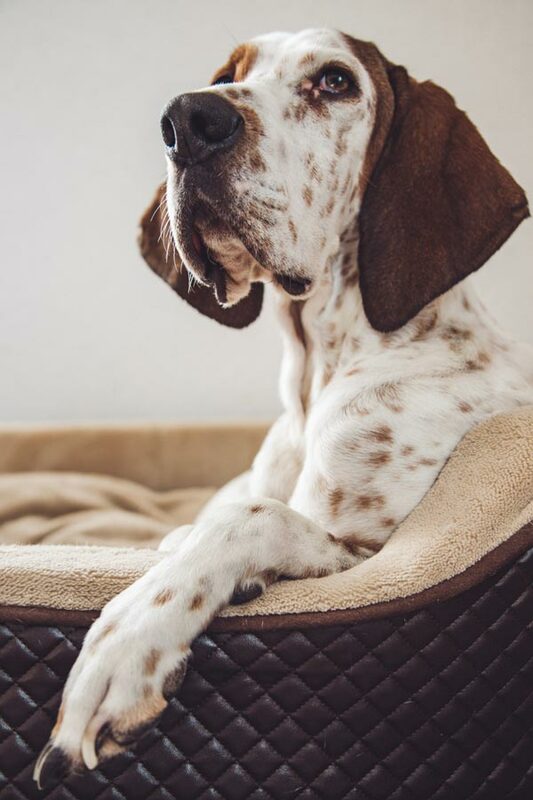 Research has shown that while CBD oil is not a cure for arthritis in dogs, it possesses the power to alleviate its symptoms. Studies have shown that the risks of arthritis and other inflammation-related disorders in dogs increases as they age. CBD oil will act as a pain reliever, targeting the aching joints and providing your dog with necessary relief. CBD soothes the chronic inflammation triggering arthritis, allowing your dog to heal faster and eventually live a normal life. But there are certain things you need to know about using CBD Oil for dogs arthritis & joint pain. 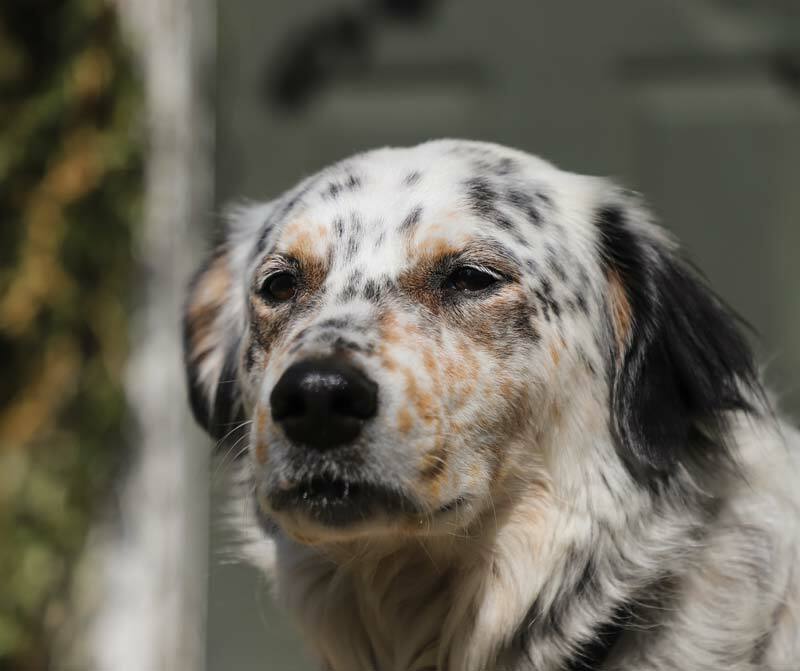 For one thing, it is important you take your dog to get a proper diagnosis, as there are certain symptoms of arthritis that resemble symptoms of other conditions. 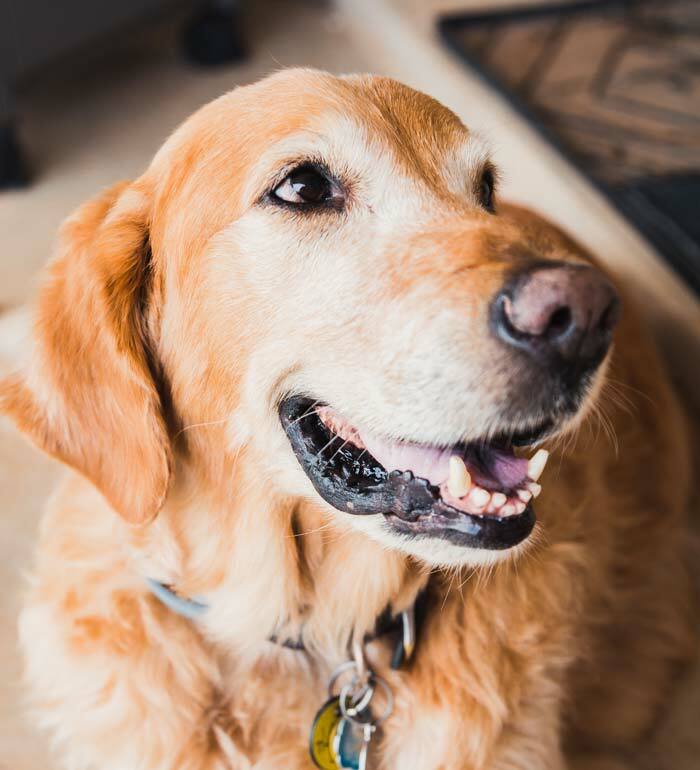 A proper diagnosis will confirm whether your pooch is truly suffering from arthritis. Many dog owners believed that CBD, found in hemp, makes humans high, and therefore the CBD oil may have psycho-active effects in dogs. This is absolutely unfounded. It is the THC (Tetra-Hydro Cannabinol) found in marijuana that causes psycho-activities in humans and this substance is not found in CBD oil. For this reason, your dog will not experience a high when given CBD oil. She will be more relaxed while the oil speeds her recovery from arthritis, but without intoxication. But the fact that there are no psychoactive effects from taking this substance does not mean you should overdose your dog. You should start administering the oil at 0.5mg or less per day, and then increase the dose slowly while monitoring any potential improvement. Starting the oil treatment on your dog on a very high dose can cause sedation of the animal, a condition that is characterized by extreme tiredness. In most cases, outdoor and more active dog breeds will require higher doses than indoor dog breeds. The main reason why your dog continuously suffers inflammatory pains associated with arthritis is that Cytokines are continuously released. 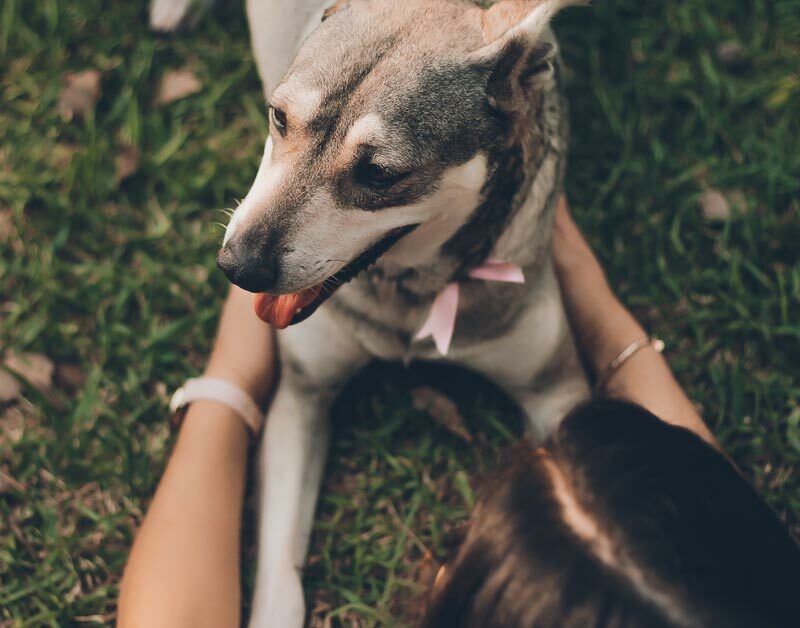 While CBD itself will not cure arthritis, it will reduce the release of Cytokines significantly, until your dog hopefully no longer feels the inflammatory pains of arthritis, which means that the healing of the affected joints will speed up. The release of excessive Cytokines can trigger auto-immune reactions and hypersensitivities. CBD can help suppress “TH17 dominance” which is a phenomenon linked to autoimmune disease such as arthritis. 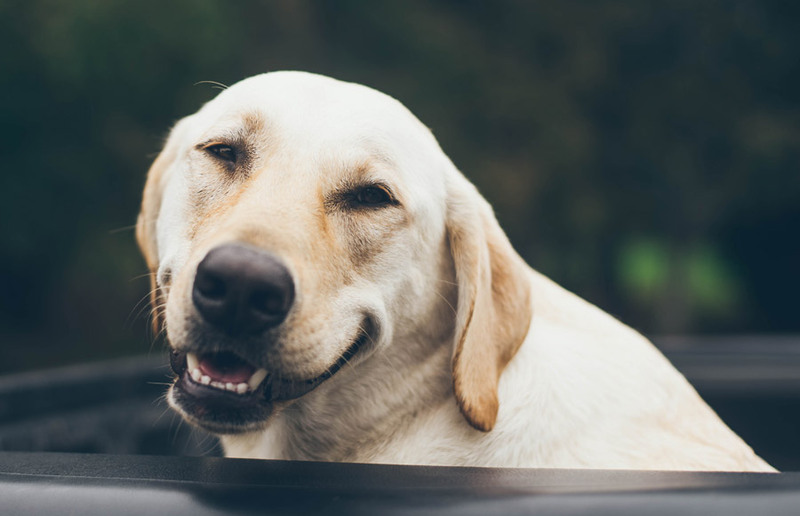 CBD is rich in antioxidative powers, and it is much more powerful than other antioxidants, including Vitamins C and E.
In cases where you cannot get access to CBD oils, you can give a CBD treat to your dog. CBD oils tend to deliver faster and more efficient results in preventing arthritis symptoms because it is applied orally and the rate at which it is absorbed into the bloodstream is higher. For this reason, dogs tend to respond to the oral application of the oil faster than through CBD treats. 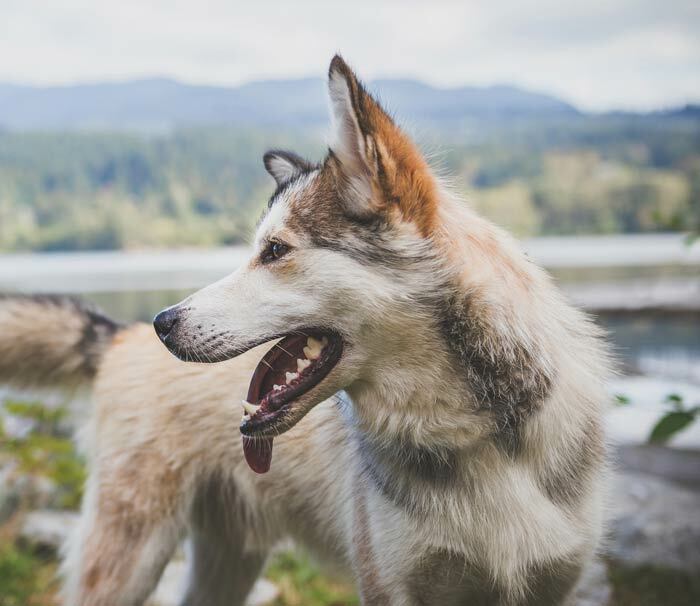 It takes a longer time for your dog’s system to digest and absorbed CBD oil from treats, which means it can take several hours for him to feel the positive anti-inflammatory effects of the substance. Another reason why it is better to apply the oil orally than adding it to dog treats is that some dog breeds are sensitive to odor and may reject food with a strange odor. If you do have to add the oil to your dog’s treats then you have to add quite a low dose so that he won’t detect the addition of the oil. It is important to read the dosage instructions on any CBD oil product for dogs before applying the substance. A full dropper of CBD oil normally contains up to 30 drops. If your dog weighs 10 pounds or less, you can add two 1 mg drops of CBD. For a dog weighing up to 20 pounds, you can apply 2 mg of the oil (4 drops); apply 3 mg (6 drops) of the oil for dogs that weigh up to 30 lbs. Dogs weighing more than 100 lbs. will require up to 20 drops, or 10 mg of the CBD oil. Generally, 10 mg should be the maximum dose you should give to your dog. If you notice no change to her arthritis symptoms then you need to contact your veterinarian. Sticking to the weight/dosage rules will help you avoid accidentally sedating your dog. Also pay attention to the concentration of the CBD oil product you have purchased. There are so many ways you give CBD oil to your dog, one of which is by applying the drops to her treats. CBD oil tinctures are often available in the 225 mg, 450 mg, and 900 mg bottles. When applying the oil on a non-CBD treat, make sure you use the body weight and dosage rules (i.e., 1 mg per 10 pounds of body weight, etc). You can add the oil twice a day at a space of 12 hours apart to achieve the best possible effect. There are a wide range of CBD oil brands out there but they all quality oils offer the same benefits, especially if they contain the right concentration, potent enough to speed up recovery from arthritis symptoms. You should avoid imitations, especially those found over the counter. You can ask your veterinarian for recommended outlets where original oils are sold. The original oil should not contain Cannabinoid crystals, and the color should be almost clear. Cannabinoid oils mixed with water, fruits and some other substances will have shades of other colors, and you should avoid buying such products. And be sure to only buy Cannabinoid oil bottles that are properly covered with sealable caps.